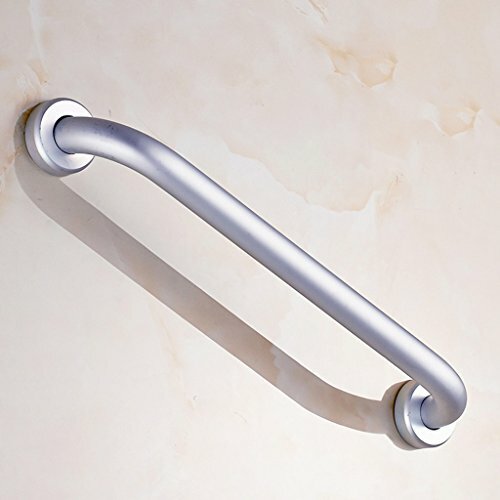 Bathroom Security Handrail Space Aluminum Armchair Bathtub Toilet Slip Resistant Handicapped Elderly Handlebars ( Size : 40cm ) by Bathroom handrail at Walk In Tub Showers. Hurry! Limited time offer. Offer valid only while supplies last. This handle not only protects your safety but also serves as a towel rail. Advanced stainless steel with mildew, durable, hard, deformed features. features. And it is ideal for installation in shower room, bathroom, toilet. > High quality aluminum selection in production, deep anodised surface, non-rusty, not easy to fade, not easy to obscure.